This WOL section is offered online. On the first day of class, log onto http://angel.waol.org/default.asp. 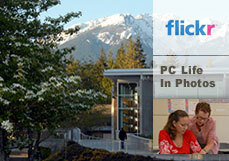 Additional online class f ee = $8 per credit. Email address required at time of registration. WOL section classrooms open 12/27/2018.Instruction begins 01/03/2019. Log in at https://pencol.instructure.com Email address required to register for online class. . Prerequisite required. WOL section classrooms open 12/27/2018.Instruction begins 01/03/2019. Log in at https://pencol.instructure.com Email address required to register for online class. .
HSEM 220 DEVELOPING AND MANAGING VOLUNTEER RESOURCES • 2	Cr. This course will focus on methods and procedures for involving private-sector organizations and volunteers in emergency management programs in ways which benefit both parties. The focus of the course is on maximizing the effectiveness of volunteer resources by implementing a people-oriented system that addresses defining volunteer roles, designing a plan of action, recruiting volunteers, training individuals who volunteer and motivation and maintenance of a successful program. Participants will acquire skills and knowledge to make appropriate volunteer assignments that enhance the effectiveness of an integrated emergency management system. Prerequisite: HSEM 102. HSEM 230 DISASTER RECOVERY AND RESPONSE • 2	Cr. The purpose of this course is to enable students to understand and th ink critically about response and recovery operations in the profession of emergency management. Students will utilize problem based learning by analyzing actual disaster events and applying the theories, principals, and practice of response and recovery. In addition, students will learn about the issues faced by special populations and how to address these special needs in natural disaster response and recovery. Prerequisites: HSEM 102 and HSEM 120, or Program Coordinator approval.